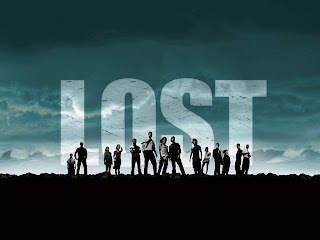 I love Lost. I am obsessed. And sad. I'm sad that this is the last season! I wish I had the sweet music when the words LOST flies onto the black screen at the beginning of every episode right now...so imagine that. 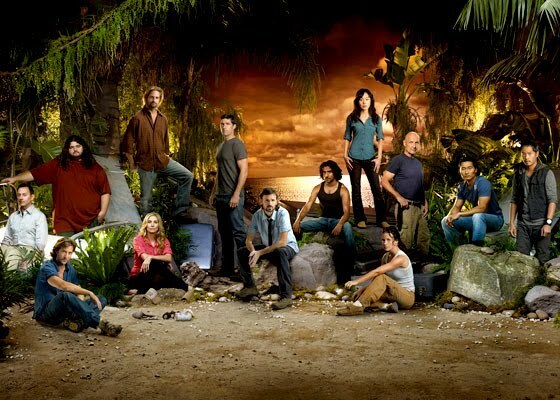 Here is some of the cast...Jack, Kate, Sawyer, John Locke...and others. By the way, I'm confused with John Locke. Is he really dead? Or alive? Why is there one of him (taking over for Jacob) and a dead one of him? Was he the black smoke dusty storm thing that killed Jacob's guardians? When this season ends I need to start over. I mean completely. I am so LOST haha. Gotta love that. But really, it got crazy and the time traveling is not helping. 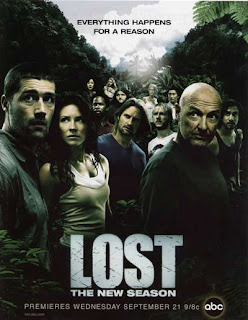 So if anyone wants to watch a lot of LOST sometime...like after this semester, let me know because I want to watch it and really get it. I mean even go on google to make all of the connections because there are so many of them. And it's a sweet show, even though Kevin doesn't agree...he just isn't hooked yet... :) But I love it. Lost parties anyone? 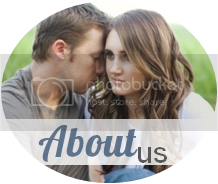 I just found your blog and its great. I have to say that I am completely obsessed with lost also. I am sad its the last season and I miss Charlie! He was one of my favorites! Hope you are doing good!